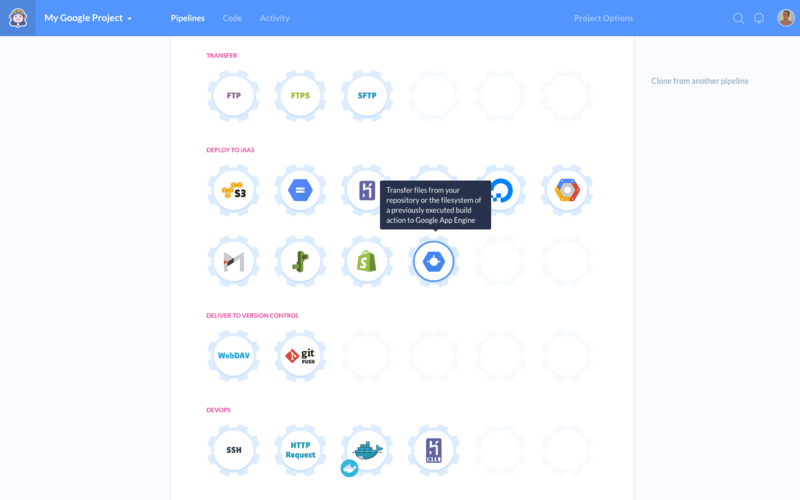 Following GCE action, we’re expanding our Google integration further with deployments to the Google App Engine. Google App Engine is a cloud platform for developing and hosting web applications in Google-managed data centers. Sanboxed and run across multiple servers, the apps in the Engine are automatically scaled with more resources being allocated to them should the number of requests increase.